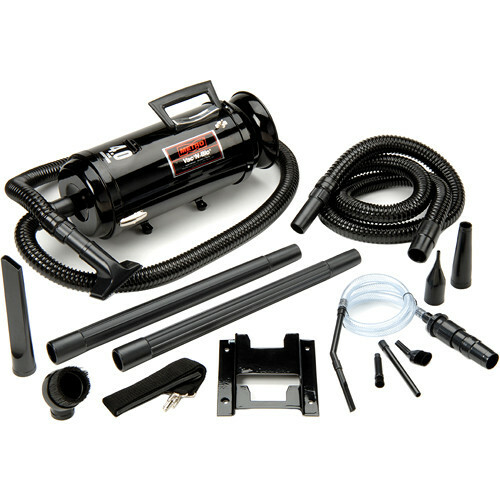 The Vac 'N Blo Compact Wall-Mounted Vacuum from MetroVac provides a one-tool solution to clean every part of a vehicle's interior. The 4.0 HP twin-fan motor can produce almost 95 inches of water-lift and doubles as a blower / dryer and inflator. Having a wall-mounted vacuum frees up valuable storage space and with the 20" tubes you can take the powerful vacuum anywhere in the room while only carrying the weight of the tube. Box Dimensions (LxWxH) 20.9 x 13.0 x 8.9"